Temptations, whispers, dreams, secrets, illusions, liaisons, trysts... lingerie... kisses. Zoya Nail Polish presents six new, elegant, full coverage yet revealing, metallics and creams for Spring 2011 to rendezvous with. Click on image to enlarge and see color detail! Zoya is the new color of fashion... The Zoya Intimate collection was designed to recreate the custom looks developed for and inspired by the runways of New York Fashion Week - Spring 2011. 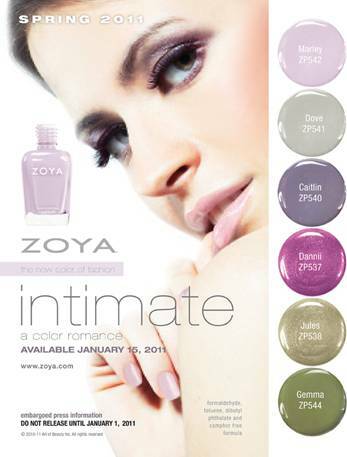 Zoya shades at www.zoya.com. 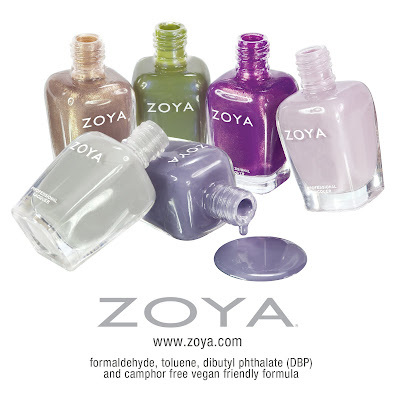 As always, each and every Zoya color is made for women so we name them after women. Oh I'm LOVING these colors!!!!!!!! I'll be waiting on the edge of my seat to see what you can do with them! 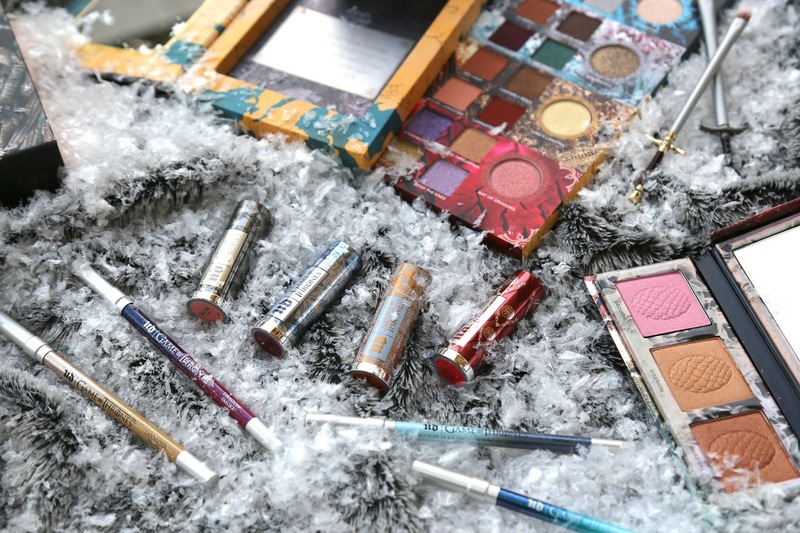 Ohhh this collection looks really nice! I really like these colors. Jules is right up my lane. Really really cute! Oh wow thanks for doing the nailart today, oh wait you just did something lazy and just posted an advertisement. That's commiting. Wow, Anonymous. That was unpleasant. Maybe you should threaten to cancel your subscription and demand your money ba... oh, wait. I wish I could like some of these comments! Haha. 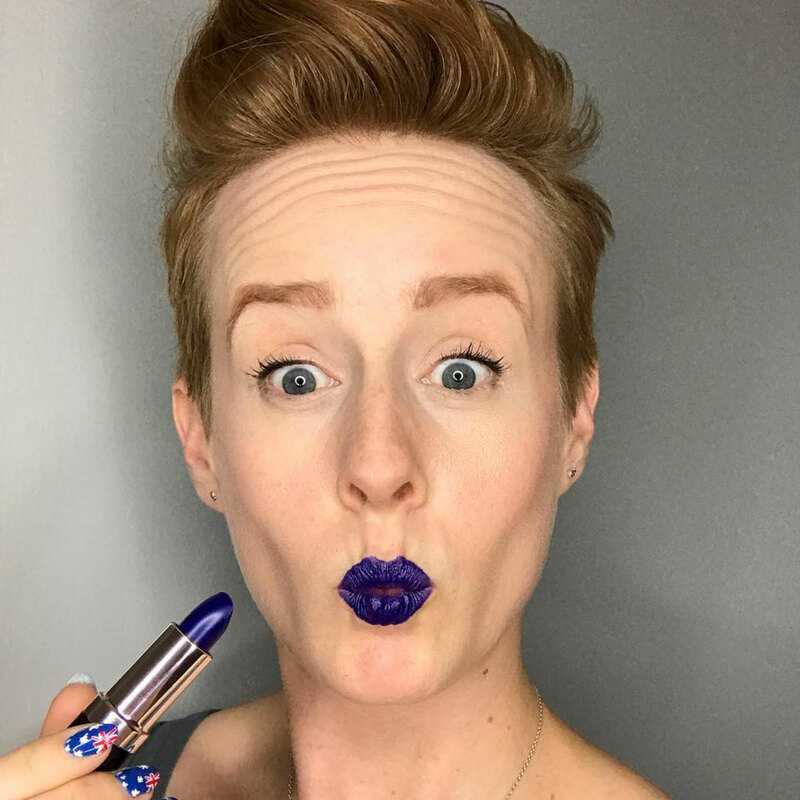 I love the purple from this collection. It would be something I could wear everyday! I think it's cool that you show us these collection previews. I'd never know they exist otherwise! I love the Zoya Collection!